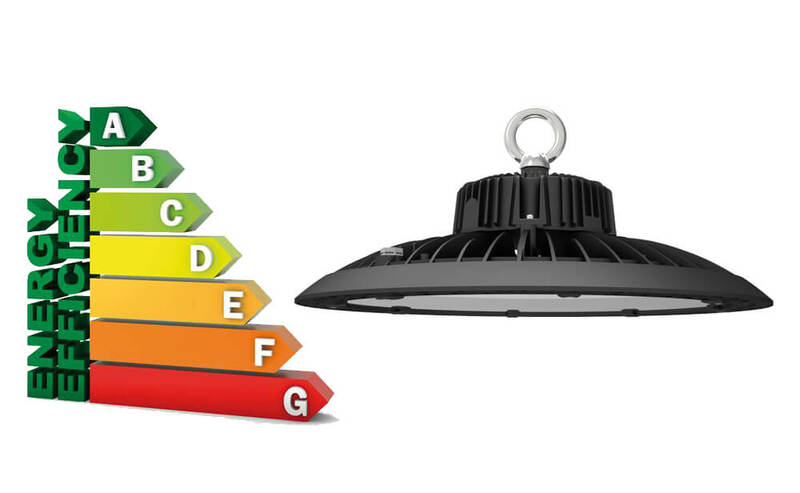 How do industrial LED lights and metal halides compare? This is a question that anyone thinking of switching to industrial LED fixtures asks themselves. For a long time, the industrial sector has relied on high-intensity discharge systems such as metal halides for lighting needs. However, since the entry of LED lights into the market, they have been replacing these metal halides. 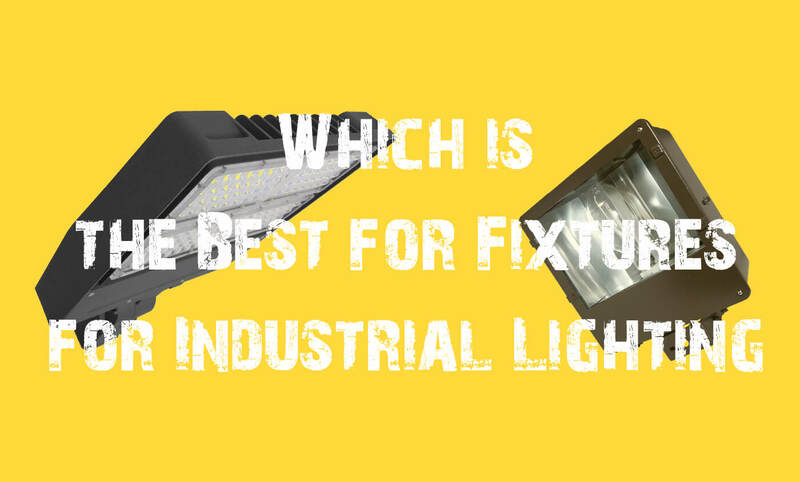 Here, we are going to compare various aspects of these fixtures to find out which one is the best for use in industrial lighting applications. One of the top things to consider when choosing between metal halides and industrial fixtures is their performance efficiency. 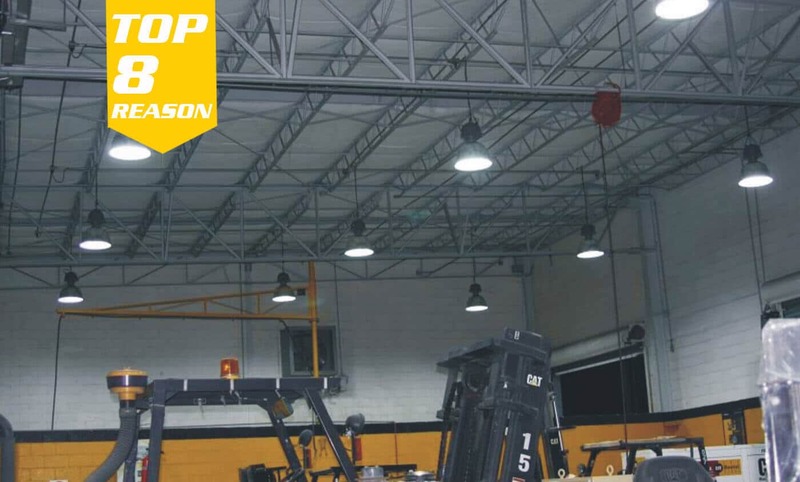 A typical metal halide fixture will deliver a cool white light, which is great for the industrial environment. However, to produce enough brightness, you will have to choose a fixture with a high wattage. For example, to get more than 30,000 lumens from a metal halide, you will need it to have at least 400W. When you are using metal halides, you have to also consider the lumen depreciation, which happens almost as soon as you start using the fixtures. In about six months, metal halides can experience a lumen drop of up to 20%. On top of that, there are other factors that affect the quality of lighting delivered, for example, the fact that metal halide light beam is not directional and reflectors that are used to direct the light can cause a significant lumen bounce. 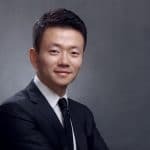 Therefore, in about six months’ time, a metal halide with an initial 30,000 lumens could have dropped to about less than 20,000 lumens, and the drop will continue to increase over time. Now, compare this performance with a typical LED fixture. A 200 watts LED high bay fixture will have a lumen output of about 30,000 lumens. The fixture will not experience any lumen drop during its lifetime, and since the light is directional, nearly all of the produced light reaches the intended area. Therefore, with a lower wattage LED fixture, you can get a better quality lighting compared to what you would get with a high-wattage metal halide fixture. 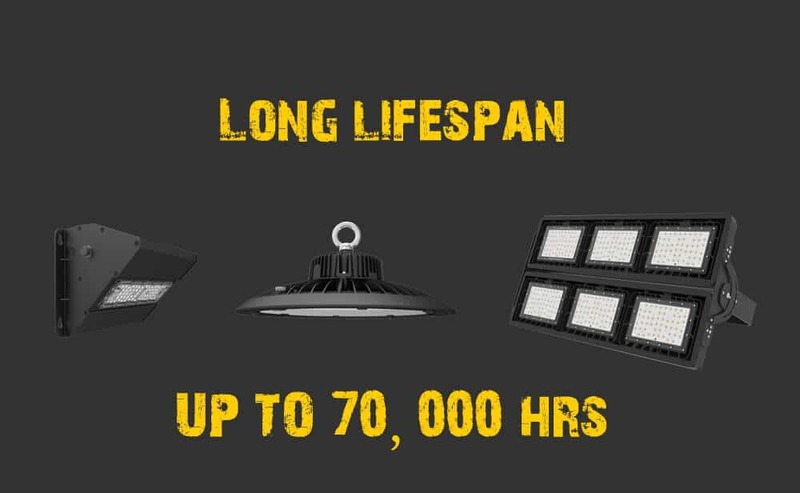 The lifespan of a fixture is another factor to consider when choosing between metal halides and industrial LED lights. A typical metal halide will have a lifespan of about 15,000 to 20,000 hours of light time. However, this does not mean that the halides will last that long. They are prone to burning out due to the intense heat produced by the light bulb. On top of that, lumen degradation is a huge problem with halides to an extent that by the time they reach half their lifespan, they will be pretty much useless. And to make matters worse, their power consumption will still be very high, despite the decrease in luminous output. LED fixtures, on the other hand, have a very long lifespan. Industrial LED lights can have a lifespan of up to 70,000 hours, with some even going as high as 100,000 hours. During this lifespan, their luminous efficacy will still be exceptionally high. Therefore, by the time an industrial LED fixture is becoming inefficient, you could have done up to 5 or 6 replacements if you were using metal halides. Industrial light fixtures have to be kept on for several hours a day. Due to this, energy consumption is a very vital consideration. Metal halides consume a lot of power in order to produce their intense brightness. This is because a lot of the consumed energy is wasted in the form of heat. LED fixtures, on the other hand, do not emit any heat, and thus they end up using less energy to produce an almost similar (or even more) amount of brightness you would get with the metal halides. Therefore, when comparing both LED and metal halides, you will find that LED lights are more energy efficient. A 100W or 200W LED fixture can offer you the same or more brightness than a 400W (or even higher wattage) metal halide. In terms of power bills, the difference between metal halides and LED lights can reach up to thousands of dollars every year. Comparing the durability of metal halides and LED fixtures is another way you can get an insight into which fixture is the best. In terms of the casings, both LEDs and metal halides can come with quite durable casings that are designed to withstand the harsh conditions of industrial environments. However, the nature of the bulbs used in both fixtures is where the different sets in. When it comes to LED fixtures, LEDs are solid state lights. Therefore, they are very durable and can be able to withstand damage from things like shock, vibrations, and impact. Metal halides on the other hand use very fragile bulbs. They make use of a filament, which can easily break due to shock, vibrations, or impact, especially when the bulb is on (at which point the filament is being heated at very high temperatures). On top of that, the filament is covered by a glass casing, which can break very easily. Before you install any light system in your industrial facility, you must carefully consider the cost. 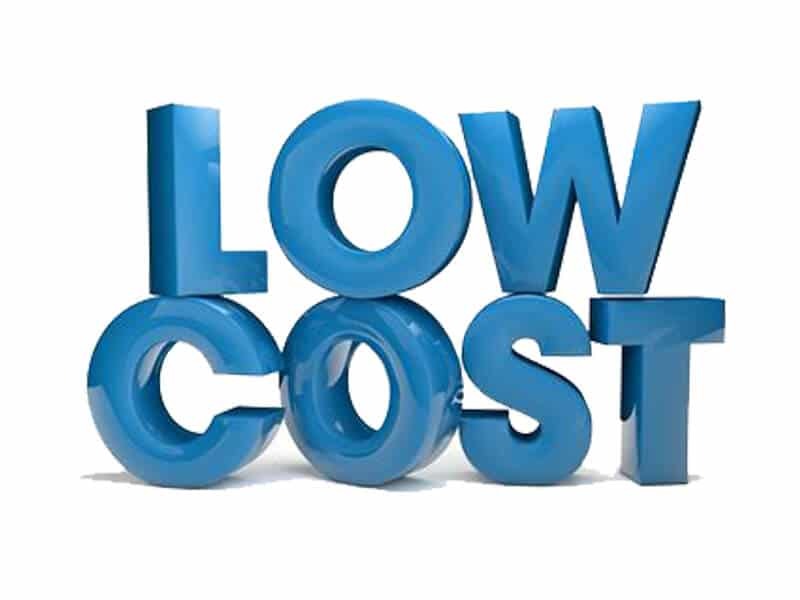 And when it comes to costs, there are a number of aspects to consider – the initial costs and the maintenance costs, and replacement costs. When it comes to metal halides, the upfront costs of the fixtures are quite low, and thus you can easily afford them even when on a budget. However, they fail when it comes to other costs. For starters, metal halides have a very high energy consumption, which means that you will be paying a lot of money to keep them running. They are also susceptible to damage due to shock, dropping, vibrations, and impact, which means that you might need to replace a number of bulbs from time to time even before they reach the end of their lifespan. Lastly, they have a very short lifespan, and thus will require regular replacements. When it comes to the LED fixtures, the initial costs are quite high compared to those of metal halides. However, when it comes to the maintenance and replacement costs, you will find that they are quite low. To start with, they have a lower energy consumption and can help you to bring down your power bills by up to 80%. They are also durable, thus not easily damaged, and have an extremely long lifespan. Therefore, when combining all the costs together, you will find that metal halides have a significantly higher lifetime cost when compared to LED fixtures. And considering that one lifetime of an LED light is almost equivalent to 4 or more lifetimes of a metal halide, then LEDs are the best option in terms of cost. The above is a comparison of the main aspects of metal halides lighting and LED lighting when used in industrial settings. From all the aspects, you can see that LED fixtures have far more advantages. From being more energy efficient, having lower lifetime costs, being more durable, and having a longer lifespan, LED fixtures are without a doubt better than metal halides. Therefore, if you have been using these less efficient fixtures, it is time to switch to the more reliable LED lights. Learn how to get the latest trends with exclusive tips and insights that I only share with my private newsletter subscribers. Murcu Light is a full-service LED lighting company that offers a wide range of LED lighting solutions for commercial and industrial facilities. Whatever you are looking for, you can be sure to find it at Murcu Light. Corporate Location: Wanhui Mansion, Longhe Rd, Longgang, Shenzhen, 518116.